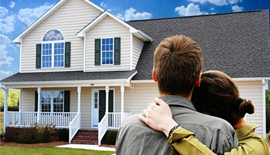 With our leading insurance carriers, we have a homeowner program to fit every client's needs. Whether it's your dream home, condominium, co-op or apartment, we have the right choice for you. We do the work for you. We seek out only the strongest insurance carriers with excellent reputations for settling claims and with long histories of providing insurance to California homeowners. Please provide as much information as possible for the most accurate quote and submit to us. We will compile the information for you and contact you by email, fax, or with a phone call as soon as possible with the best possible options. 5624 Lankershim Blvd. North Hollywood, CA 91601 | Areas Serving: Los Angeles Area, Sherman Oaks, Hollywood, Burbank, Valley Village, Los Angeles, Encino, West Hollywood, Beverly Hills, and more!